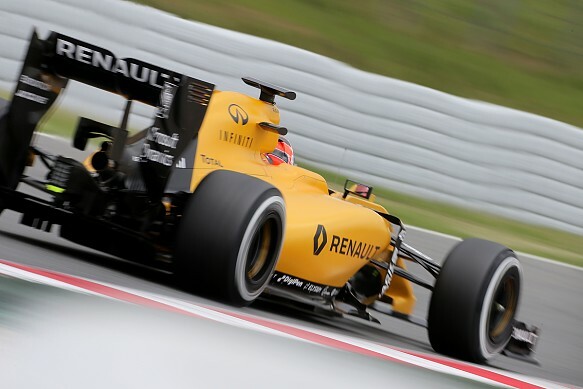 Renault may yet introduce its new Formula 1 power unit for the Monaco Grand Prix, according to engine technical director Remi Taffin. Managing director Cyril Abiteboul had suggested last weekend there was a “very slim chance” of such a situation happening given the fact Monaco is not an engine circuit, and the new system would have to be perfect in terms of driveability. But following a successful debut of the new unit during this week’s in-season test at Barcelona, with all the drivers conceding it compared favourably to the previous iteration, it appears set for its maiden race outing in Monaco, rather than Canada as had been planned. Taffin said: “The current power unit used since Australia has had several smaller upgrades, and all the drivers were very happy with the standard in Spain. In parallel, we’ve been working on the new spec since the start of the season, but needed to sign off all the parts for reliability and mileage before using on track. The tests were very positive and showed it to be more powerful and driveable. Taffin has suggested the new engine, which has only taken up “a small proportion” of the manufacturer’s token allocation, could be worth around 0.5s in laptime. Explaining the differences between the old and new systems, Taffin added: “The power unit we have used since the first race in Australia was really a continuation of the work started in the ‘spec D’ power unit we introduced at the tail end of 2015. As for potential further improvements for the remainder of the year, Taffin said: “We will continue our development over the rest of the season, using tokens with a view to getting on board any useful items identified from our 2017 work.